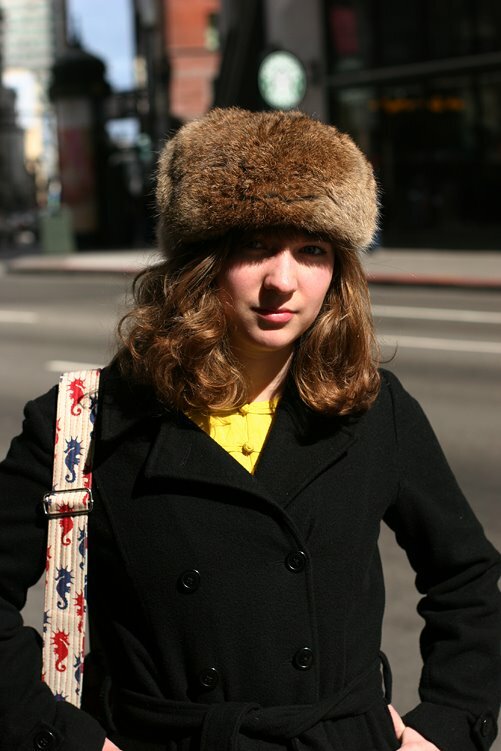 "Well probably the hat, well I'm a little embarrassed about it because it's real fur, but I got it at a thrift store so I figure, it's not as... And I really like it, I thought I had one like it when I was a little kid. I like to raid my Mom's old clothes, so I'm wearing this under lace shirt is her's and the vest is a hand-me-down from my Aunt and I just like to get stuff from their old closets and put it together." I like her hat and how her yellow vest peeks out from her coat. 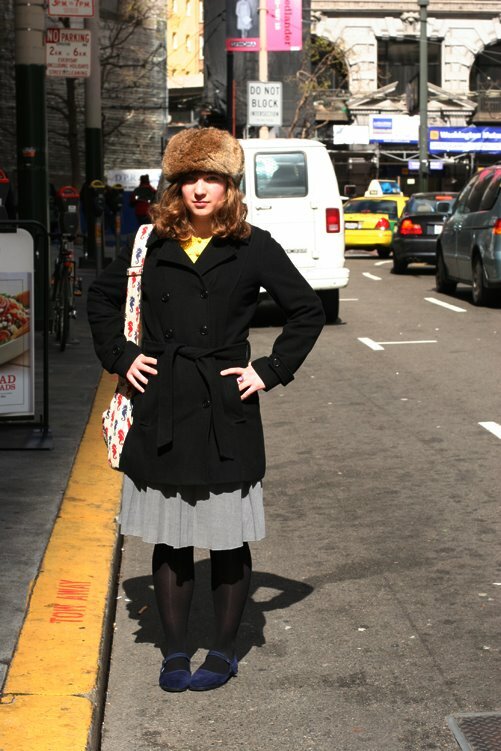 I also like the gray and yellow color combo of the outfit underneath her coat. 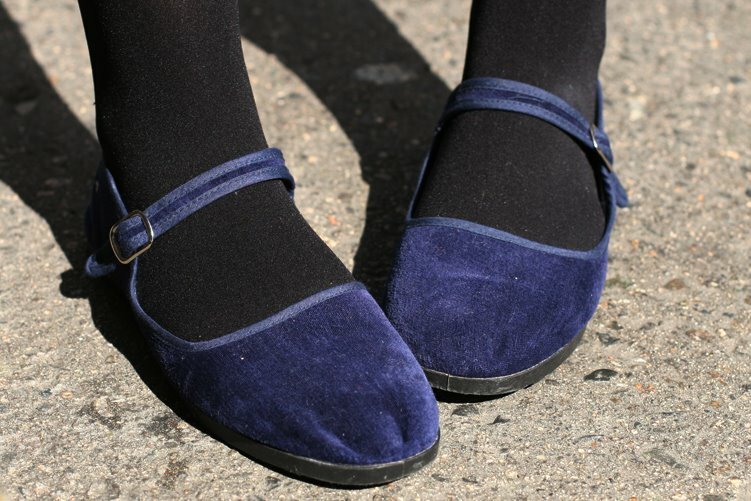 Simple blue velvet Chinatown Mary Janes.